Delicious Line publishes 900- to 1100-character reviews of limited-run visual art exhibitions. Submissions are welcome from all corners of the earth, from any who dare. We pay US$40 for accepted submissions. Don't pitch us, just submit your review to submit@deliciousline.org. Submission does not guarantee publication, but everything gets considered. Feel free to send questions to that address. Reviews appear with one image, which you may send along with your review, with all relevant information. You may also send along an image URL or simply indicate your preference. Note that museums frequently have serious legal constraints on publicity images - when in doubt, the editors will take care of it. Any given exhibition, no matter how notable, will receive one and only one 1,000-character review. In the event that Delicious Line receives more than one submission for an exhibition, the editors will publish their favorite. There is no restriction on the venue itself - reviews of concurrent or successive shows at the same museum or gallery are welcome. As for notability, there is a lower-end threshold. Delicious Line is proud to cover small towns, scrappy efforts, and exhibitions outside the art world's better-defended gates. However, we don't want to be the canonical record for an exhibition's existence or key information about it. The presenter ought to take care of that, and if it doesn't, then we probably don't want a review of the show. (We've made exceptions for this, but it was for pavilions at the Venice Biennial.) Exhibitions about artists for whom it's hard to find further information or properly documented, well-photographed images posted online make the editor's life difficult, and covering them is of dubious value to the site's readers. We are open to what constitutes a visual art exhibition, but not infinitely. Think pieces, press releases, interviews, features, hit jobs, and rants are not welcome here. We're looking for reviews. Study and revere the Delicious Line Style Guide. Our Conflict of Interest Policy has two points of concern. One, we cannot accept submissions from writers who have a financial or otherwise compromising arrangement with the artist or the exhibition venue being reviewed. We leave the details of this to your judgment, but if public knowledge of your relationship with the subject would make fools of us all, then please find another show to write about. Two, Delicious Line identifies writers by their real names. We will not publish under anyone's pseudonym unless that is the professional name they sign to the rest of their writing, as established long prior. Author's names will appear with a link to their public profile, either their professional website or preferred social medium. If you don't have one, use LinkedIn. 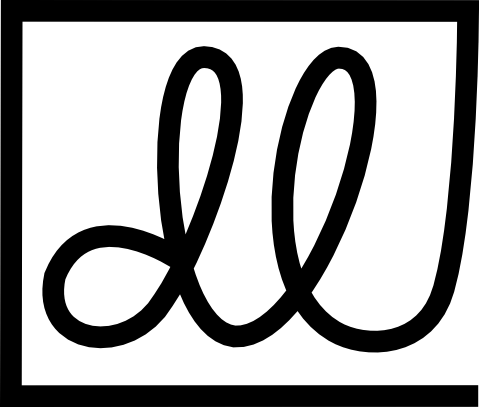 Accepted submissions will be published copyright Delicious Line Inc. for use exclusively on the website, and in excerpted form for marketing and related purposes. We also syndicate reviews to other publications. When this happens the reviewers are compensated again. Submission implies no obligations on the part of Delicious Line Inc. or the editors. With that noted, send us delicious lines.